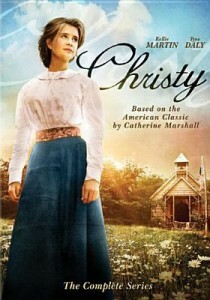 Lights, Camera, Novel: Catherine Marshall’s Christy. Some of the best stories originate from real life, like Catherine Marshall’s 1967 novel Christy. Marshall was inspired to write her famous book based on the experiences of her mother, Leonora Whitaker, who left her family and home in North Carolina to teach at a mission school in the Appalachian Mountains in 1909. After Marshall and her parents later visited the mission school in Del Rio, Tennessee in the late fifties, Marshall wanted to tell her mother’s story. Many elements in Christy are rooted in fact. Marshall conducted extensive research into Appalachian life and culture, so even the fictionalized aspects of the novel are still well-founded. Twenty-seven years later, Christy was developed into a TV series, which debuted on Easter Sunday on CBS. True to the novel, the show was filmed in Tennessee. Kellie Martin portrayed Christy. Tyne Daly won an Emmy for her supporting role as Alice Henderson, a Quaker missionary, and LeVar Burton joined the cast in season two. Fans of Marshall’s novel enjoyed the series, though their satisfaction was short-lived. Executives canceled the show soon after the season two finale was shot. Twenty-one episodes were filmed in all. Viewers were upset about the cancellation because the season two series finale ended on a cliffhanger with Christy split between two very different men vying for her affection, the rugged Dr. Neil MacNeil and the handsome Reverend David Grantland. Seeking resolution, fans wrote to CBS requesting that the show be put back on the air. Five years later, in 2000, PAX network (since renamed Ion) continued the unresolved plot line in a made-for-TV movie. Some of the same actors reprised their roles, but Christy was recast using an unknown actor, Lauren Lee Smith. Three TV movies adapting Marshall’s novel were released between 2000 and 2001 giving fans the closure they were denied in the canceled TV series. The movies — Christy: Return to Cutter Gap, Christy: A Change of Seasons and Christy: A New Beginning — were filmed primarily in Canada. A book cover with Lauren Lee Smith as Christy. Christy still boasts an active fan base. Starting in 1997, enthusiasts of the novel and TV show have met to discuss their fascination for Christy. The annual meeting was dubbed “ChristyFest,” and it often occurs in Townsend, Tennessee, the filming location of the TV show. This year ChristyFest will be held May 23-25 in Del Rio, Tennessee. From the ChristyFest site, it appears that registration will open soon. No doubt, Christy has captured the attention of loyal fans, and the love triangle between the main characters is a big draw. In writing this post, I found evidence of a Neil and Christy fan site with photos from the TV show and the TV movies, interviews with cast members, episode guides, and analysis and more. There are also special fan fiction sites and some fictionalized Twitter accounts created from the perspectives of Christy, Neil, David, and Alice. Catherine Marshall is recognized as a Christian writer. The Christy Awards were created to acknowledge Christian fiction writers and the three Christy TV movies were backed by the support of the now defunct PAX network, which focused on “family-based” programming. 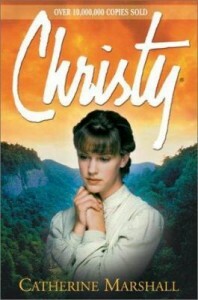 It appears that Inspiration Network, or INSP TV, currently broadcasts episodes from the Christy TV series. INSP headquarters are in the Charlotte metro area. An audiobook cover with Kellie Martin as Christy. Read the original blog post on Catherine Marshall’s Christy here. 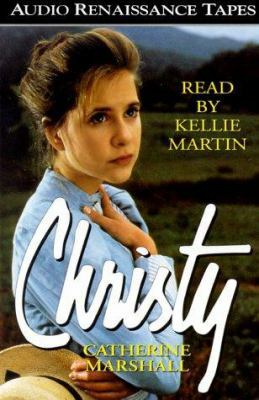 The complete TV series is available through the UNC-Chapel Hill Library catalog along with the original novel and an audiobook version of the novel read by Kellie Martin. Lights, Camera, Novel: Alexander Key’s Escape to Witch Mountain. If you’re in the right age bracket, you might remember Escape to Witch Mountain from your childhood. Which format and version you recall depends on your generation. Novelist Alexander Key first wrote the book in 1967. Key began his career as a well-known illustrator who eventually transitioned into writing. His writing can be described as science fiction for kids. Key was born in Maryland and spent many years in Florida before moving to the mountains of North Carolina with his wife and son. A fan page on Key says that he and his family made the move after they “decided Florida was growing too fast.” Much of Key’s work is currently out-of-print. Escape to Witch Mountain is one of Key’s best known titles. The book tells the story of orphans Tony and Tia who possess supernatural gifts and are on the hunt to figure out their origins before the evil Lucas Deranian reaches them first. In 1975, Disney released a film adaptation of the novel directed by John Hough, which, at the time, became one of their most popular live-action movies. The movie follows the basic plot from beginning to end with some noticeable modifications. First, the setting was relocated from the East coast to the West coast, where the movie was filmed. In the novel, Father O’Day helps the children on their quest and protects them from Deranian. In the movie, O’Day plays the same role, but his character is a widower named Jason O’Day. Deranian is the central villain in the novel, whereas in the movie he becomes ancillary to his mastermind boss, Aristotle Bolt. The child actors who play Tony and Tia aren’t perfect physical matches for their book counterparts who are supposed to look unearthly with their olive-skin and light hair. Instead, they look like wholesome child actors. The movie’s portrayal is much lighter and more innocent: Miss. Grindley is kinder and Truck, a bully at the orphanage, is much less threatening. Yet the most surprising change is Tia speaking. Muteness is a major feature of her character. In the novel, Tia is seen as an oddity because she does not speak out loud. Instead, she carries a pad and pen around to communicate with other people. She is able to converse with her brother telepathically. Disney created a sequel called Return from Witch Mountain in 1978, also directed by John Hough. The same child actors, Ike (now known as Iake) Eisenmann and Kim Richards, reprized their roles as slightly older Tony and Tia. Bette Davis and Christopher Lee starred as the movie’s villains who hoped to manipulate the siblings’ powers. Four years later, Disney released yet another sequel, Beyond Witch Mountain with a new director. By this time, the original Tony and Tia has grown out of the roles and were recast. The plot appears to pick up from after the original 1975 Escape from Witch Mountain adaptation and it ignores the story-line from the 1978 Return from Witch Mountain. This second sequel was created as a pilot for a possible TV series. But since no networks expressed interest, no other episodes were filmed. Over a decade later, in 1995, Disney remade Escape to Witch Mountain as a made-for-TV movie. The movie shared some elements with Key’s story, like orphaned siblings with powers (renamed Danny and Anna). Most of the TV movie departed from the original plot though, for instance Danny and Anna are initially separated. Finally, in 2009 Disney produced its latest rendition, called Race to Witch Mountain with Dwayne Johnson, AnnaSophia Robb and Carla Gugino. Like the 1995 adaptation, Race only shares some passing similarities to Key’s novel and the 1975 film. Adolescent Tony and Tia were remodeled as teenaged Seth and Sara. As the years passed, it seems that each revision departed further from the original, maybe as a means to refresh and modernize the story, while still maintaining essential characters and motivations. Escape to Witch Mountain and its many adaptations are nostalgic classics. Alexander Key’s novel is available through the UNC-Chapel Hill Library catalog and has been previously blogged on here. The film and TV adaptations are not available through the UNC-Chapel Hill Library catalog. If you’re local to the area, Escape to Witch Mountain (1975) and Race to Witch Mountain (2009) are available at the Chapel Hill and the Durham Public Libraries and could make an interesting back-to-back screening of two adaptations thirty-four years apart. 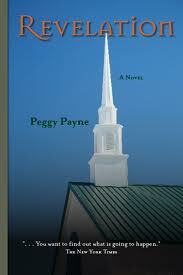 Payne, Peggy. Revelation. Wilmington, N.C. : Banks Channel Books, 1995, c1988. Dr. Swain Hammond is perfectly happy before he steps out into his yard one summer night and hears the voice of God. He has a nice house with his beautiful wife in the heart of Chapel Hill, where he grew up. They don’t have a family, but neither wants children–they’re happy by themselves. Although he works as the minister of Westside Presbyterian Church in Chapel Hill, Swain would count himself as the last man likely to hear any kind of divine message. His congregation is made up of individuals who aren’t inclined to make literal interpretations of scripture, and neither is Swain. Yet, while his wife is grilling pork shish kebabs only a few yards away, God speaks to him. The next year of Swain’s life is fraught with anguish. Far from the joy and peace he imagined hearing the voice of God would bring him, instead it seems to bring nothing but trouble. The congregation doesn’t know what to think of their formerly intellectually detached leader claiming to hear directly from God. At first they staunchly stand beside his right to free speech, but as the year wears on and Swain begins to preach about believing in miracles and hearing His voice again, they become uncomfortable and even angry. A few demand he step down, while others think he should seek counseling. Even Swain’s beloved wife, Julie, doesn’t know what to think. In the midst of all this turmoil are the local children. Swain has never liked children, or felt comfortable around them. But when a boy named Jakey Miles, the son of a local woman he had a crush on in high school, is blinded in a terrible accident, Swain finds himself drawn to the boy. Against his will, he finds himself reflecting on his own childhood, where his intelligent parents played cruel games of emotional chess with one another that inevitably left young Swain traumatized. As the minister questions his faith, his relationships, and himself, one thing becomes startlingly clear–happiness is where you least expect to find it. John H. Hyman. The Relationship. Manassas, VA: E.M. Press, 1995. Scotland Neck, North Carolina, in 1944 is a typically charming Southern town. Everyone knows everyone, and people generally look out for one another. Johnnie, the nine year-old narrator, describes the many adventures he and his best friend Wormy encounter that summer. Although Johnnie is white and Wormy is black, the two boys do not allow the racial tensions of the segregated South to disturb their relationship. They daydream about concocting solutions that will make them invisible so that they can both take part in activities such as buying a Coke and a moon pie at the local grocery. The two boys seem to have a penchant for mischief; examples include the time Johnnie’s father’s taxicab ended up at the bottom of Scout Pond and the day the boys hopped a train thinking it would take them to the next town but ended up in Norfolk, Virginia. As Johnnie grows up, he recognizes more often the discrimination Wormy endures, especially after Wormy is attacked for taking part in a whites-only activity. Although Johnnie acknowledges that Scotland Neck is not perfect, he appreciates the lessons he learns over the summer of 1944 before he and his newly-widowed mother move to northern Virginia. Most of all, he is grateful for his time there with Wormy. Check out this title’s availability in the UNC-Chapel Hill Library catalog. Filed under 1990-1999, 1995, Coastal Plain, Halifax, Historical, Hyman, John H.
James Patterson. Kiss the Girls. Boston: Little, Brown, 1995. As an expert in abnormal psychology working for the FBI, Dr. Alex Cross is used to calmly solving gruesome crimes, but in Kiss the Girls the case is personal. His niece–a law student at Duke–is kidnapped while on campus, and he comes to the Triangle to try to help find her. The North Carolina police and FBI are dealing with “Cassanova,” a man who is collecting beautiful and talented female victims. There is also a second predator on the loose, a killer on the west coast with the nickname “The Gentleman Caller.” A break in the case comes when one of Cassanova’s victims, a UNC med student, fights her way free of her captor. This is the second book in the Alex Cross thriller series and the only one set in North Carolina. It inspired a 1997 film of the same name starring Morgan Freeman and Ashley Judd. Jan Karon. A Light in the Window. Elgin, IL: Lion Pub., 1995. In the second of the Mitford novels, Father Tim must deal with a variety of women in his life. The recently widowed Edith Mallory is pursuing him in a not-so-subtle manner that includes delivering delicious casseroles to his home. The life-long bachelor doesn’t mind the food, but he is in love with someone else: his neighbor, the lovely children’s book author Cynthia Coppersmith. Unfortunately, he isn’t sure how to proceed on that front. He also has his bossy assistant Edith meddling in his life and a mysterious female cousin from Ireland comes to stay in his house. Barnabas the unruly dog also makes appearances, as does young Dooley, whose troubles at school distress Tim. Lee Smith. Saving Grace. New York: G.P. Putnam’s Sons, 1995. Florida Grace Shepherd had a rough childhood. Raised by a father who was a snake-handling preacher and abused by her half-brother, she managed to escape by marrying at seventeen. Set in the fictional mountain town Scrabble Creek, N.C., the novel is enlivened by the many kind and colorful characters in Grace’s life. The story follows her through to adulthood and traces her struggles in her relationships with her husband and children, and difficulty in coming to terms with her own religious faith. Check this title’s availability in the UNC Library Catalog. Alice Adams. A Southern Exposure. New York: Alfred A. Knopf, 1995. At the end of the Great Depression, Harry and Cynthia Baird and their 11-year-old daughter move from Connecticut to Pinehill, N.C., a fictional town probably based on Chapel Hill. Hoping to escape debt, drinking problems, and past mistakes, the family is plunged into small town southern culture. The novel traces their attempts to fit in to a tightly woven community.